Listen Technologies is showcasing Listen Everywhere, its new and improved Wi-Fi product, at ISE 2019. Listen Everywhere replaces Audio Everywhere and features upgraded hardware, a streamlined finish and a new server with professional audio outputs. Listen Everywhere enables personal listening experiences in any venue. With proprietary Listen Technologies hardware, the system is easy to add to a venue’s existing wireless network and can accommodate thousands of users and over 50 channels. In venues featuring Listen Everywhere hardware, patrons and guests can experience wireless audio streamed directly to iOS and Android smart phones and tablets via a free downloadable app. Visitors to Listen Technologies’ booth (number 7-C192) at ISE 2019 will be able to download the Listen Everywhere app and stream audio from any one of four channels to their smart phones or tablets. There will be two channels streaming audio from video screens in the booth to personal devices, one channel streaming recorded audio and a fourth channel featuring audio streamed from a live mic that will demonstrate the product’s very low latency. 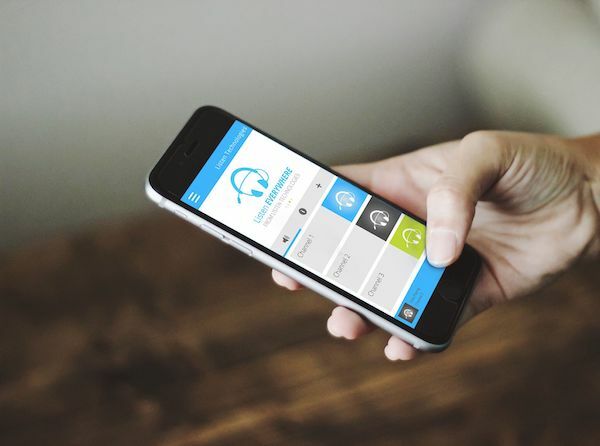 The Listen Everywhere app can be customised to promote a venue’s brand and further enhance the user experience. When patrons and guests open the app, they will see the venue’s unique welcome message. Venues can upload ads, coupons and special promotions as well as links to menus, class notes, meeting agendas and other content. Custom labels and logos make it easy for users to find their preferred audio channels. Listen Everywhere is an affordable, low-latency solution that is ideal for houses of worship and classroom settings where ambient noise and distance can make it difficult for congregants and students to hear audio clearly. The product also can be used in indoor arenas and airports and in combination with other ADA (Americans with Disabilities Act) systems such as ListenRF, ListenIR or ListenLOOP for assistive listening. Listen Everywhere is available now. A free upgrade is available for Audio Everywhere users to get their servers on the latest Listen Everywhere software and cloud service. Also at ISE 2019, Listen Technologies will showcase two new receivers – the LKR-11 and LKR-12 – and the latest accessories for its mobile communication product ListenTalk.